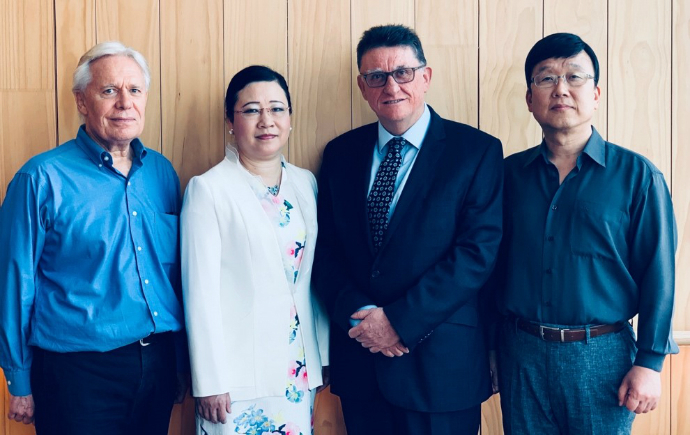 The international Consortium for Research on Employment and Work (iCREW) builds on a long tradition of excellence in the fields of employment relations, work and human resources research at Monash University that began in the University’s early years. This tradition includes a legacy from the former Australian Consortium for Research in Employment and Work as well as the former National Key Centre in Industrial Relations, which the Australian Research Council (ARC) had established at Monash in the 1980s. iCREW promotes research and scholarship in the broad area of work, employment relations and human resources. Our key aim is the promotion of interdisciplinary and collaborative research in a range of fields including human resources, industrial and workplace relations. We encourage projects in the private, not-for-profit and government sectors, especially with a view to producing high-quality publications. Our projects have an impact on society by contributing to enhanced organisational performance, improved wellbeing, and the improvement of public policy. Professor Greg Bamber discusses the future of work with Greg Vines, Deputy Director General of the ILO. Collaborate with private, not-for-profit and public organisations in addressing challenges and opportunities in our field. Facilitate the attainment of high-quality research and publications in our field. Foster links between Monash and other researchers locally and internationally. Our members work collaboratively on research projects in a range of interdisciplinary streams. We may provide seed funding to a small number of projects to foster research collaboration involving our members. We welcome visitors, research students, host seminars and other events. We co-convene the annual Symposium that is held jointly by Monash and Melbourne universities in honour of Emeritus Professor Joe Isaac AO, FASSA (www.youtube.com/watch?v=Y1ujyWFIlYE) and the Prescott Family Foundation Lecture Series led by John B Prescott, AC. We are an interdisciplinary and internationally-oriented Research Consortium, bringing together people with expertise in a range of related areas. We have links with other researchers and other institutions in Australia and other countries. The majority of our members supervise Higher Degree by Research students. We include members from Monash Business School's Department of Management and from other parts of Monash University, as well from as other institutions. All those listed immediately below are also members of Monash Business School, Monash University, Melbourne, Australia, unless an alternative designation is shown. Research students who are working with and/or supervised by iCREW members are also welcome to be associate members of iCREW. We have a vibrant research culture. We organise, host and participate in a range of research events. We conduct seminars, which feature national and international scholars. In addition, we organise symposia, bringing together academics and practitioners. The purpose of such symposia is to share ideas and build future research collaborations. This stream focuses on the implications of digitalisation, artificial intelligence (AI) and gig jobs on the future of employment, employability, industrial relations and labour regulation across different economic, industrial and occupational settings in a global economy. This stream builds on earlier research projects into employee voice and workplace conflict. We examine and compare how horizontal and vertical disputes (involving employees, managers and contractors) are dealt with in different national and organisational settings. In addition, we will look at the relative effectiveness of different systems of dispute management and resolution. Key researchers include: Greg Bamber, Brian Cooper, Julian Teicher, Bernadine Van Gramberg , Anne O'Rourke. Employing organisations in the public and private sector have been increasingly been deploying HR outsourcing and shared services for various reasons, including, cost containment, developing strategic capability, refocusing internal HR competences and functions for more value-added activities. Several iCREW members are researching the role and business implications of HR outsourcing and shared services and implications for employees and HR professionals. This stream of research examines how employing organisations can develop employee resilience, wellbeing and organisational productivity in the face of challenges and through innovative HRM practices. Key researchers include: Fang Lee Cooke, Greg Bamber, Brian Cooper, Ed Snape. This stream focusses on global dimensions of HRM and ER as well as comparing and contrasting HRM and ER theories, policies, practices across national settings. This stream focuses on developing frameworks and tools for measuring and managing OHS performance in multinational enterprises. We undertake research in global industries, including mining and healthcare. Key researchers include: Helen DeCieri, Tracey Shea, Cathy Sheehan, Mingqiong Zhang, Jiuhua Zhu. This stream includes international research on U.S., U.K. as well as Australian trade unions; it considers such questions as: What are the trends in union administrative practices? Do such trends contribute to, or detract from, union efforts at revitalization? The future of work was the topic of a Centre for Global Business seminar hosted by International Consortium for Research in Employment and Work.